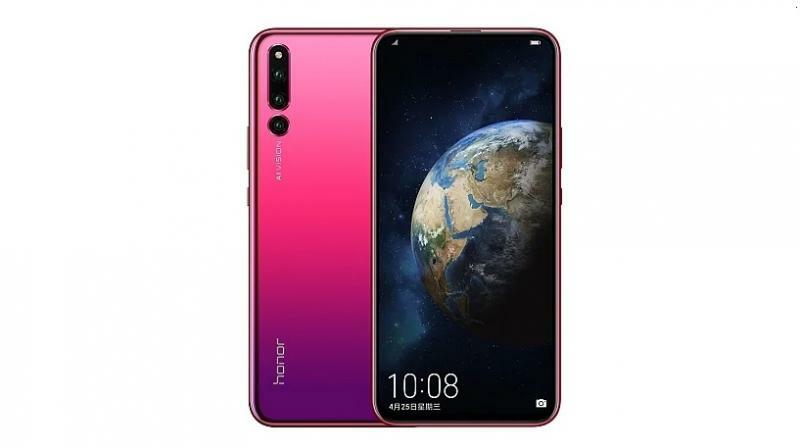 Honor has launched its latest flagship called Magic 2 in China, that comes with a sliding camera mechanism and an indisplay fingerprint sensor. The smartphone runs on Magic UI 2.0 based on Android 9.0 Pie. Under the hood, the device is powered by the latest HiSilicon Kirin 980 chipset, coupled with four CortexA76 cores clocked at maximum 2.6GHz, and four CortexA55 cores clocked at 1.8GHz. The chipset is aided by 6GB/8GB of RAM and 128GB/256GB of internal storage, which is expandable via microSD card. The handset features a 6.39inch FHD+ AMOLED display with a 91.5 per cent of screentobody ratio. On the imaging duties, the device offers a triple rear camera setup, including a 16MP f/1.8 primary sensor, a 24MP f/1.8 monochrome sensor and a 16MP f/2.2 super wide-angle lens, accompanied by a LED flash. The setup comes equipped with AIS tech for image stabilisation. For selfies, there is a 16MP f/2.0 camera, alongside two 2MP depth-sensing lenses, both with f/2.4 aperture. The smartphone is fueled by a 3400mAh battery, which supports 40W fast charging, labelled as Magic Charge. Honor claims the device can be charged from 0 to 85 per cent within 30 minutes. Connectivity options include 4G VoLTE, Wi-Fi, Bluetooth v5.0, GPS, NFC, and a USB TypeC port. Honor is touting an IPX2 rating. The device also includes an infrared 3D face unlock. As for the pricing, the handset costs CNY 3,799 (approx Rs 40,300) for the 6GB RAM and 128GB storage variant, CNY 4,299 (approx Rs 45,600) for the 8GB/128GB configuration, and lastly, CNY 4,799 (approx Rs 50,100) for the 8GB/256GB configuration.